I sincerely believe risotto is easy to make. All it takes is a little time. It’s a great recipe to have in your repertoire; the basics are all the same and with a few variations to the add-ins you’ve got a different meal every time. This particular flavor combination may seem a bit odd, but I’ve made it twice now to rave reviews. The crispness of the lemon is softened by the goat’s cheese; it is especially delicious when served with a roasted leg of lamb that’s been pre-steeped in a bit of the lemon, minced shallot, orange juice and a splash of soy sauce. To prepare the basic risotto, lightly toast rice in large saucepan (I use my wok) over medium high heat, in equal parts butter and olive oil, for 4-5 minutes. Add white wine and cook for another 3-4 minutes to burn off the alcohol, then reduce heat to low. Slowly add chicken stock, 1 cup at a time, allowing it to fully absorb into the rice before adding more. Stir occasionally (I find, constant stirring is not necessary). Cook for 25-35 minutes or until rice is soft. 5-10 minutes prior to end of cook time, add salt & pepper and whatever others spices, meats, vegetables, nuts or cheese desired, and voila! 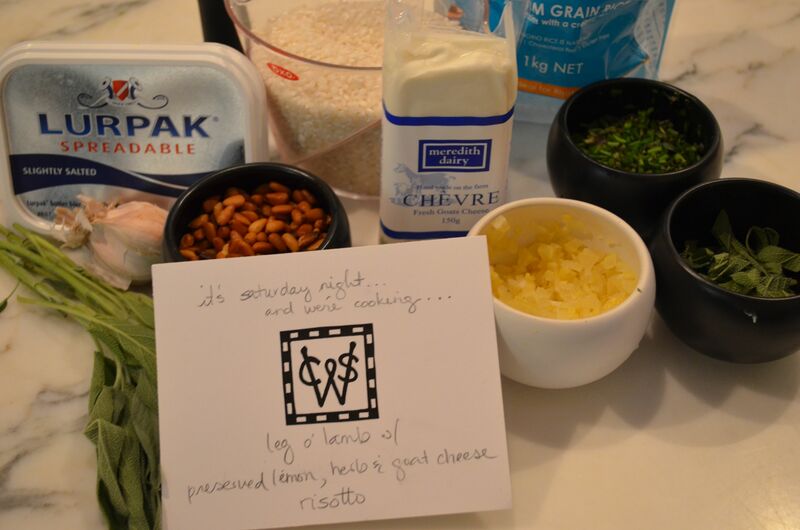 Prepare basic/intermediate risotto. Add preserved lemon after 10 minutes of cooking time, when rice is still semi-hard, so the lemon has a little time to cook down and to let the flavors meld. 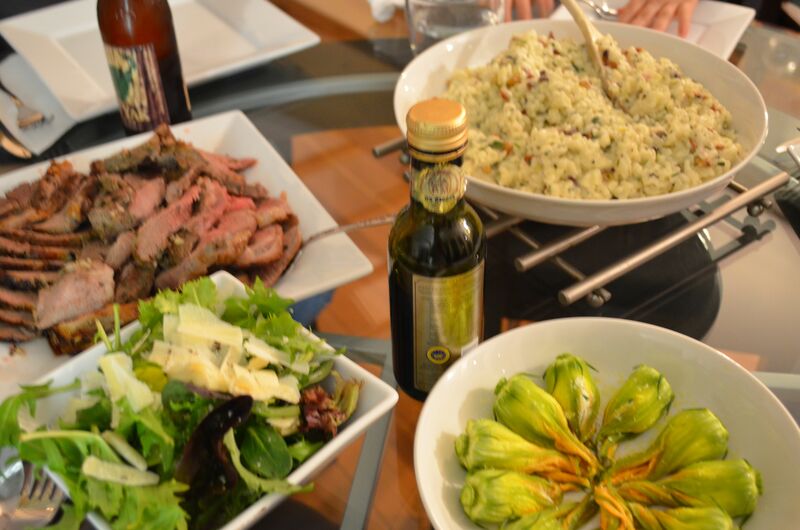 When rice is fully cooked, add fresh herbs, chevre, a healthy amount of fresh cracked pepper and toasted pine nuts. 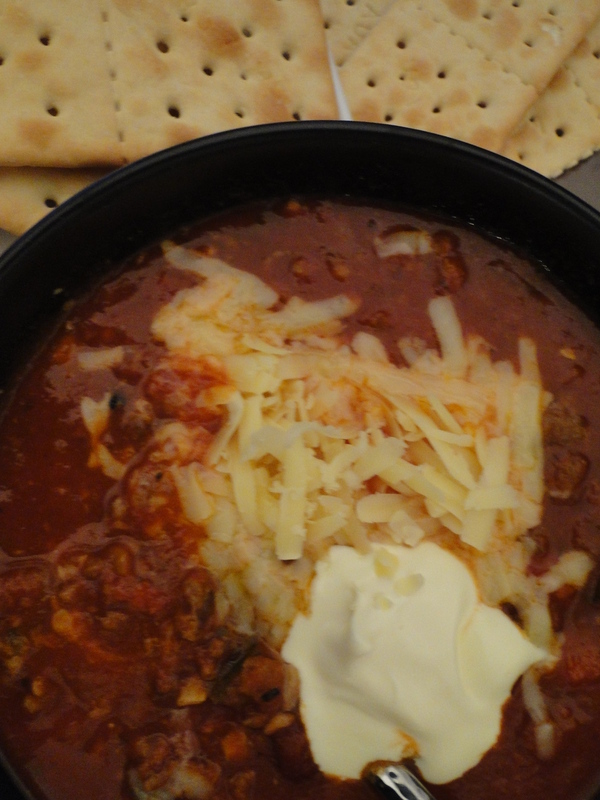 Stir and allow cheese to melt in, about 1-2 mins more, and serve. 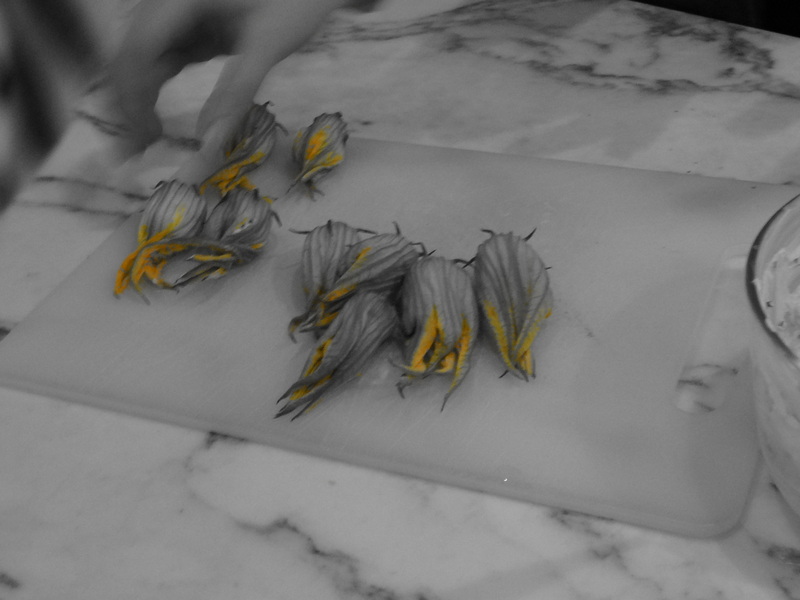 If necessary, remove baby zucchini from flower and reserve for another use. For filling, mix together creme, cheese and chives. The mixture should have a soft and creamy but still slightly firm texture. 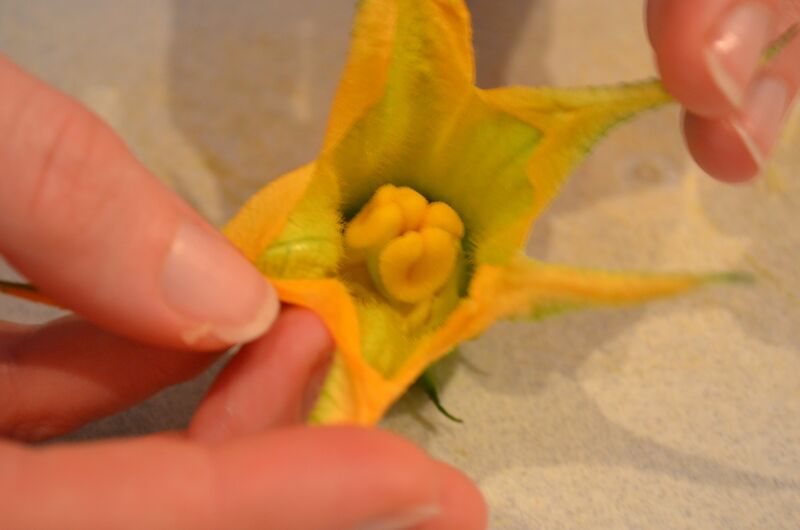 Gently pry open flowers and remove stamen at the base of the flower. Stuff with cheese mixture, twist tops, slick with olive oil and scatter with rock salt. Zucchini flowers are considered to be a delicacy, so when I saw them for (relatively) cheap at my local market I thought they would be a perfect complement to a goats’ cheese risotto I planned to make. 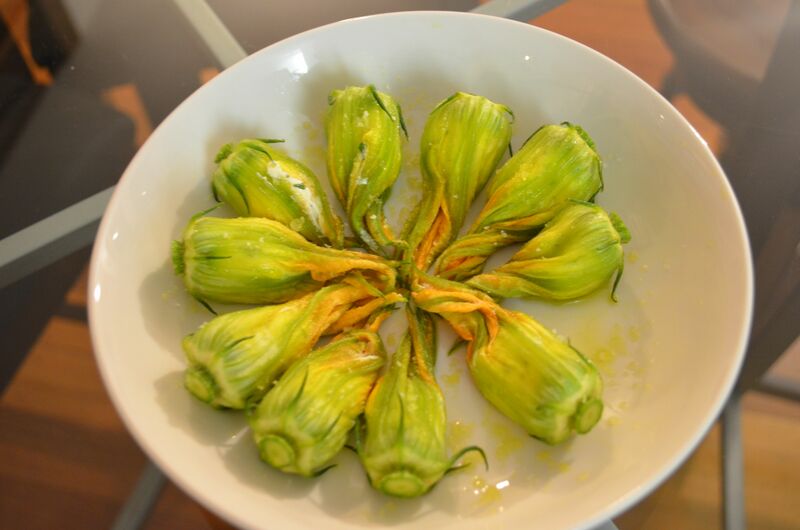 This particular recipe is based on a NYT article, highlighting the pleasures of zucchini flowers in the raw, since they are often simply battered and fried. Raw, the taste of the flower was rather mild and delicate. All in all, these were fun to make and plenty edible, but in the end, I’m not sure they’re really worth the effort. Still, they sure make for a gorgeous photo. NYT, I love it when you add veracity to my personal rationalization efforts over bad food/drink consumption habits! There’s of course the well-known adages regarding a glass of red wine a day (but did you know it was good for your gut?) and a recent article on the life-enlongating effects of caffeine. Today, my favorite editors are debunking the theory that salt is “food public enemy No 1”. Next up, the benefits of butter? This recipe posting gets a gold star for effort Creativity? Not really… but effort on a lazy Sunday? For sure. While Steve was out golfing, my solo Sunday consisted of a leisurely brunch interspersed with dabbling on the piano. 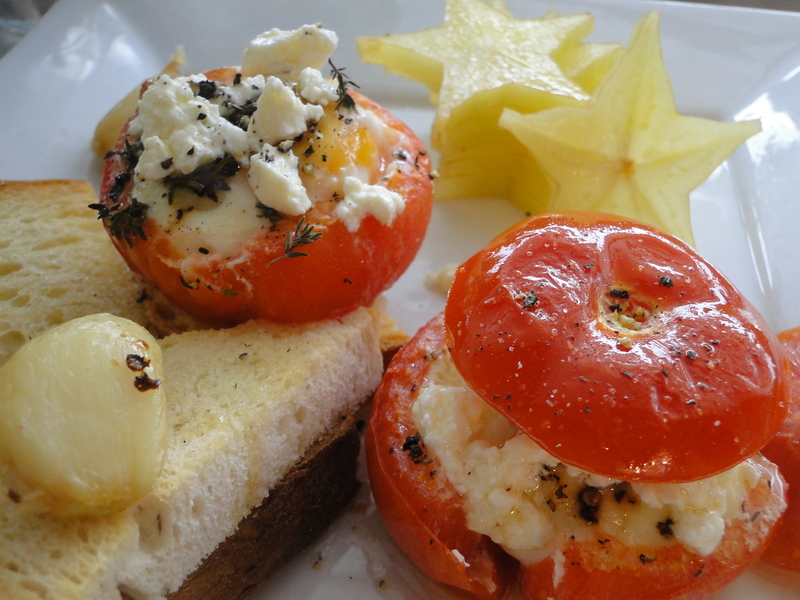 I had my eye on these delicious baked eggs in tomato, from Mr. Rufus, which looked (and were) so beautifully simple. I added some persian feta as a garnish after cooking to give it some creaminess, used thyme instead of oregano just because I had it on hand, and topped my toast with some roasted garlic. And of course, when you’re treating yourself to an amazing Sunday brunch, there’s gotta be dessert. So I sliced up a stack of star fruit as a clean crisp finish. Um yum. Happy Sunday to me. American obesity: a simple question of supply and… supply? This NYT article is great on so many levels: pointing out an obvious reason why 1 in 3 Americans are obese and 2 in 3 Americans overweight; highlighting the basic tension / interplay of market capitalism and regulation; and doing it all with math! Shockingly, Carson Chow, a mathematician, concludes that the rise in obesity in America over the last few decades can be attributed to… increased supply of food. The mantra certainly holds true in my house: if you grow it, I will eat it (though I like to think, in moderation). And if you grow it cheaply, and on a mass scale, economics dictate that I will pay a lower price for it and be able to consume more of it in relative terms. It’s a common refrain from visitors to Melbourne: “food is SO expensive here.” But it’s only because food is so cheap in the U.S., in fact, perhaps TOO cheap. Sadly, I suspect another key part of the equation missed by Chow is a cultural one — Americans have proved in the last 50 years to be a culture of convenience consumers. Which unfortunately means that, so long as supply is high, there will be demand. And so long as quick and cheap alternatives are available to maximize not only food consumption but minimize lost opportunity costs for other consumer activities, Americans will seize them. It makes me nostalgic for a time when my dad would cook 7-days’ worth of meals in advance on the weekend, to freeze until each meal’s day came, so we could enjoy home cooked dinners quickly (and I suspect cheaply) when he got home from a long day at work. (And trust me, we probably BOTH thought we’d never be nostalgic for such things…) What’s the incentive now, when a parent can just pick up a box-o-food in the same amount of time and at the same cost? So what should be the political response to Chow’s mathematical answer? It seems politically untenable and perhaps callous to suggest as a response that we should (1) remove farm subsidies (i.e., put the squeeze on struggling American farmers in the heartland of U.S.A) or (2) herald an age where food is more expensive, and therefore more financially burdensome to struggling families. An obesity rate of 1 in 3 people suggests that Americans aren’t just “breaking even” on food, they are gluttonously profiting. But political rhetoric is hardly that discerning. Perhaps in the current political climate, cultural change is the best we can hope for… I’ll start one home at a time; my own. 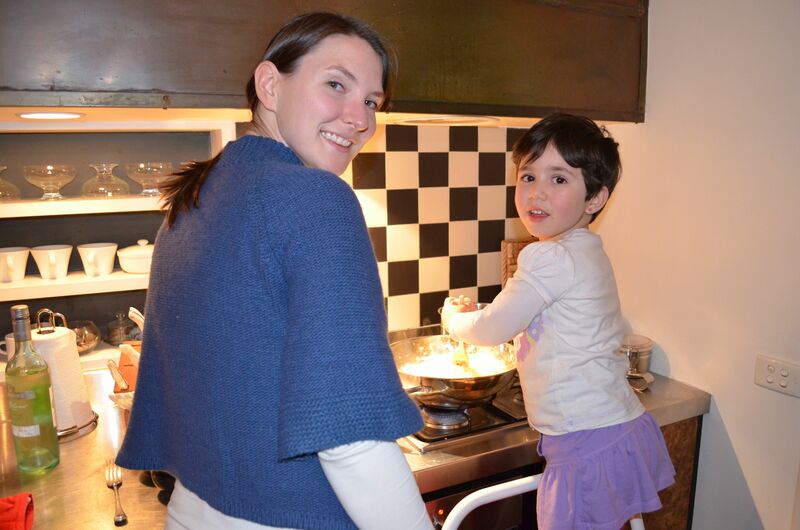 After all, if a corporate lawyer can manage to avoid fast food and cook for her family most nights, I promise, you can too! Fellow American-Melbourians, take heed, Beans and Bagels is where it’s at! The day before: melt butter in slow cooker on high heat. Slice onions on a mandolin slicer, on the thinnest setting. Add to slow cooker and stir to break up onions and disperse butter. Cook on high for 1 hour, and on low for another 3-4 hours until browned. Salt and pepper to taste. When ready to serve, slice baguette, spread with a layer of caramelized onions and top with a heap of Gruyère. Toast until cheese is bubbly and brown. Submerge in soup bowl and serve! Whisk all ingredients except onions and incorporate completely. Add onions, stir and refrigerate overnight (so no work to do on the day of the party and to let the flavors meld and intensify). Disclaimer: I’m a bit of an imprecise cook. These are the rough ingredients, but I kinda mixed and matched it with what I had in my fridge until it tasted right — a tbsp of sweet chili sauce, dash of tabasco, some lemon garlic salt. I don’t like mayo and felt that the mayo taste was, at first, a bit overwhelming so was trying to overcome that. Next time I’ll use a little less and maybe some softened cream cheese. Another basic and simple recipe that packs a flavorful punch. So tasty and easy, you’ll never eat canned applesauce again. Roughly dice apples, and place in small baking dish. Cover with sugar and spice mix. Bake at 220C (400 F) for 30-45 minutes until soft. Mash with a potato masher, leaving rough and chunky. Garnish with cinnamon stick and serve. I hate cranberry sauce, so I dished this up with the Thanksgiving turkey. Also would be great for that timeless classic, pork and apples. Yum!